Billionaire John Paulson lost almost $1 billion as gold posted its steepest decline in 30 years hitting $1,361 per ounce. The precious metal is no longer seen as a safe-haven asset. Those who decided that it was too early to dump gold for good, lost a lot in the past few days. Billionaire John Paulson lost almost $1 billion of his personal wealth in the past two days as gold price fell to its lowest in almost two years, losing 13 per cent, Bloomberg reports. Out of around $9.5 billion invested across his hedge funds, some 85 per cent is invested in gold. Influential investor George Soros seemed well prepared for the slump. He said earlier in April that gold has been “destroyed as a safe haven” during the euro crisis. However he added he expected the global central banks to continue buying gold to support prices. Speaking with the South China Morning Post, Soros sounded cautious on the metal. “It has disappointed the public, because it is meant to be the ultimate safe haven. But when the euro was close to collapsing last year, actually gold went down, because if people needed to sell something, they could sell gold,” Soros said. Soros said he did not expect gold “to go down.” However he started significantly shortening his positions in gold in 2011 when he dubbed gold “the ultimate bubble." Back then he sold most of his holdings in the bullion-backed SPDR Gold Trust and iShares Gold Trust funds and invested in mining instead. Some experts believe its is too early to drop gold. If the economy in the US does not recover, gold might yet be a worthy hedge. Renowned bond investor Bill Gross, the manager of PIMCO's Total Return Fund said in early February said that he saw gold as a “stellar inflationary hedge” as global central banks attempt to reflate their economies. Investor Jim Rogers commenting on the latest gold drop to Bloomberg, said he’s not buying the commodity yet, as he expects it to go even lower. 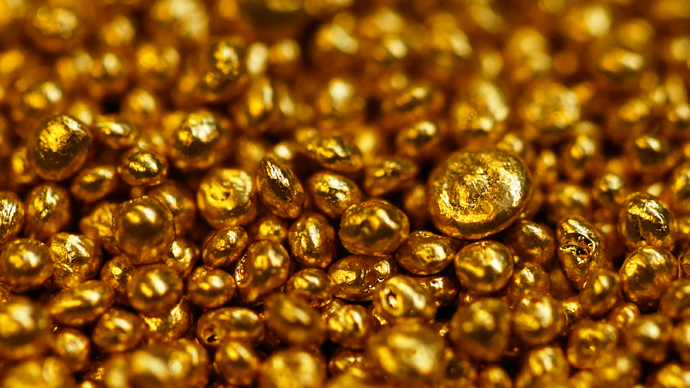 “This may be the correction that gold needs,” said Rogers, chairman of Rogers Holdings. “If it goes down enough, I will start buying it,” Rogers told reporters in Singapore. 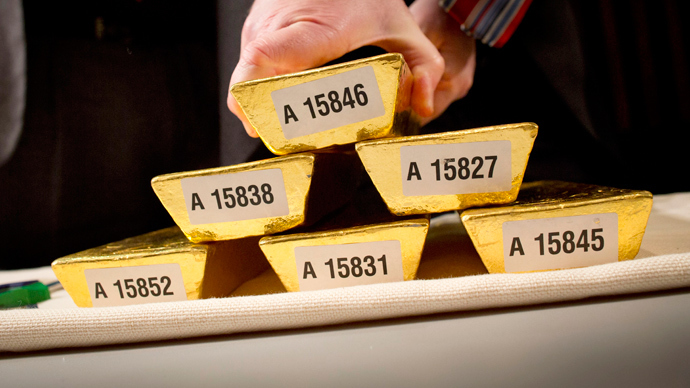 “Precious metals are a very special type of asset. Manufacturing demand is smaller than investment demand – so you can hardly call it a traditional raw material. Moreover unlike stocks and bonds gold does not generate profit on its own. The only reason to keep gold is the risk of inflation, as well as lack of confidence in traditional types of assets,” Moscow-based asset manager Timofey Martynov explained to RT. “In the past two years I’ve not been recommending to invest in gold because the potential profit is the same as its risk, while there has been and still are no signs of inflation. And even if tomorrow gold falls to $1000, I wouldn’t say that you have to buy it because it’s cheap. It would be reasonable to return to gold only in several cases – steady signs of a price surge, a major conflict (Iran, North Korea etc) or, for example, the collapse of the eurozone,” he said. 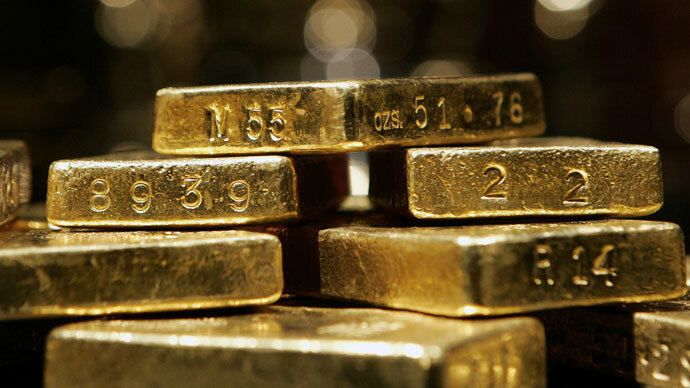 Experts say gold dropped so significantly due to a number of short and long term reasons. JPMorgan sees falling global inflation as the main factor slashing gold’s value as a sustainable hedge. In the short term, the main reason for gold's weakness is the rise of the US dollar value due to the credit crisis in Europe. Signals that the US economy is recovering may force the Federal Reserve to withdraw its stimulus package sooner than expected, the Economic Times reports. 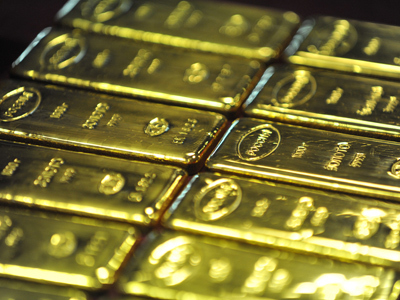 Goldman Sachs lowered its gold price prognosis expecting accelerating US economic growth. The price forecast for 2013 was lowered to $1,545 an ounce from $1,610. The forecast for 2014 hints at a further decline to $1,350 an ounce from $1,490. 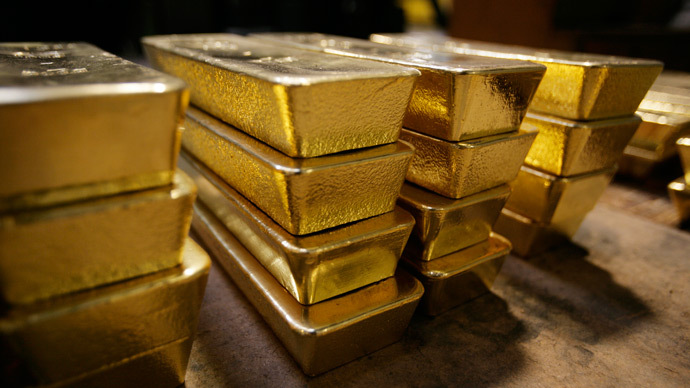 Global investors were seen getting rid of gold and transferring their funds in riskier assets. Weak economic data from China and reports that Cyprus could sell of its gold reserves to pay off debts contributed to the latest slump in the gold price. Meanwhile analysts at Citigroup claim the commodities super cycle might be over. Citi Research’s Ed Morse, released a report on Friday, to coincide with the historic gold slump, while oil prices demonstrated a steep decline as well. “The second quarter should provide another affirmation that the so-called commodity super cycle has finally ended and should usher in the first ‘normal’ year in over a decade in which, broadly, commodity prices end the year lower than when the year started,” Morse’s reports said adding that the super cycle headed towards the end for several years dubbing it “Supercyle Funeral” that began in 2011. This year would be the “after-party,” he added. Experts also foresee a drop in prices for aluminum, copper and nickel by some 5%-10% in 2013, and by 8% to 13% in the following year.